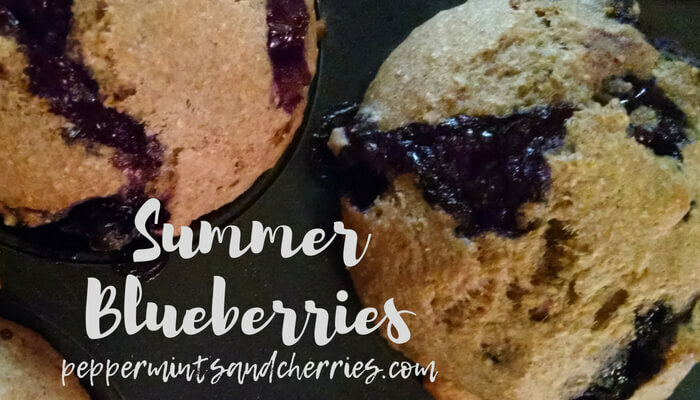 I like to use blueberries in smoothies, and blueberry bread and muffins are always a delicious treat. I hope you enjoy both of the recipes listed below! The Blueberry Banana Bread is a heavier bread, while the Blueberry Bread is lighter in texture. 1. Using a mixer, blend together the eggs, applesauce, vanilla, and bananas. 2. Add the baking powder, salt, and stevia baking blend. Mix briefly. 3. Stir in the flour until thoroughly blended. Add the blueberries. 4. Pour into a 9x5 bread pan, and bake at 375 degrees Fahrenheit for an hour plus (until the center is baked). If the bread begins to brown too much on top, cover with foil to protect it from burning. 5. Allow the bread to cool. Slice and serve! 1. Using a mixer, blend together the eggs, butter, and vanilla. 2. Add the baking powder, salt, stevia baking blend, and half of the milk. Mix together. 3. Add the flour and remaining milk and stir until well blended. Toss in the blueberries. 4. Place mixture in an 8x8 glass dish and bake at 350 degrees Fahrenheit for 30 minutes or until the center is baked. 5. Allow to cool. Cut into squares and serve. If you missed reading my last post, 14 Quick Tips for Yard Sales, click here! Other Recipes You May Enjoy!!! !